MartinLogan CLX Art electrostatic speakers are featured in a room with Krell, Transparent and a rare professional grade open reel tape machine playing classic master copy dubs. Jacksonville, FL â€“ March 2, 2012 â€“Â Audible Images, a leadingÂ MartinLoganÂ Reserve ESL dealer,Â is inviting audiophiles to a unique listening experience at theÂ Audio Expo North America (AXPONA), from March 9-11 at theÂ Omni Hotel, Jacksonville, FL, in the Florida Room. AXPONA Audio Expo offers demonstrations of home audio playback equipment and software replicating live music as accurately as possible. The most advanced audio equipment available is demonstrated by manufacturers and high-end A/V shops like Audible Images to reproduce the emotions of musicianâ€™s live performances. Attendees have direct contact with designers and manufacturing-trained personnel while listening to the latest equipment available demonstrated throughout the venue. Joining five CLX Art speakers will be five MartinLoganÂ Depth iÂ and twoÂ Descent iÂ subwoofers, a Krell Evo 707 processor, Krell Cipher CD/SACD for multichannel, Krell Evolution Amplifiers and Transparent Reference XL and MM cabling and power conditioning. Raising the audio bar even higher, the Audible Images demo room will also feature a modified Â½ track professional grade open reel tape machine that reproduces effortless two-channel sound duplicated from original analog master copies! With music samples fromÂ The Tape Project, it has been touted by both acousticians and audiophiles as the best sounding medium in the world. Tasked with translating these demanding formats, MartinLoganâ€™s CLX Art represents the culmination of everything MartinLogan learned aboutÂ electrostatic speaker technologyÂ since the first product was brought to market in 1983. The industry benchmark for resolving detail, CLX Art utilizes dual electrostatic transducers to render the most complex musical passages as faithfully as a crystal prism disperses the full color spectrum. This is the limitless spectrum of the CLX Art – the absolute truth in musical reproduction. Also headlining at AXPONA, a live concert by the Jacksonville Symphony Orchestra in a world-class concert hall designed for an intimate and acoustically superior experience. The March 8-10 concert weekend features Beethovenâ€™s Seventh Symphony, one of the â€œA-listâ€ works for the classical audiophile. 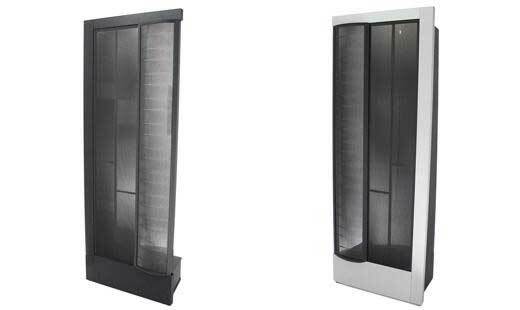 For more information on MartinLogan, please visitÂ www.martinlogan.com.